Paperback, 7 x 9.25 in. / 440 pgs / 500 color. Text by Brigitte Huck, Heike Maier-Rieper, Hans Ulrich Obrist, et al. 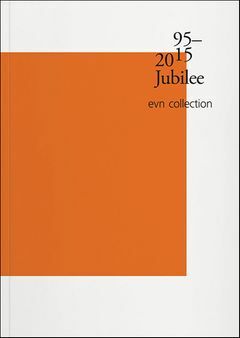 This publication assembles works from the EVN Collection--an Austrian collection company founded in 1995--offering a survey of international art from the past 20 years, with works by Phyllida Barlow, Mark Dion, Marlene Dumas, Peter Doig, Carsten Höller, Mike Kelley, Roman Ondák, Elizabeth Peyton and Rosemarie Trockel. FORMAT: Pbk, 7 x 9.25 in. / 440 pgs / 500 color.